Cadillac’s long-awaited return to the global prestige luxury segment has come to the region with unveil of the 2017 Cadillac CT6 flagship at the Dubai International Motor Show. 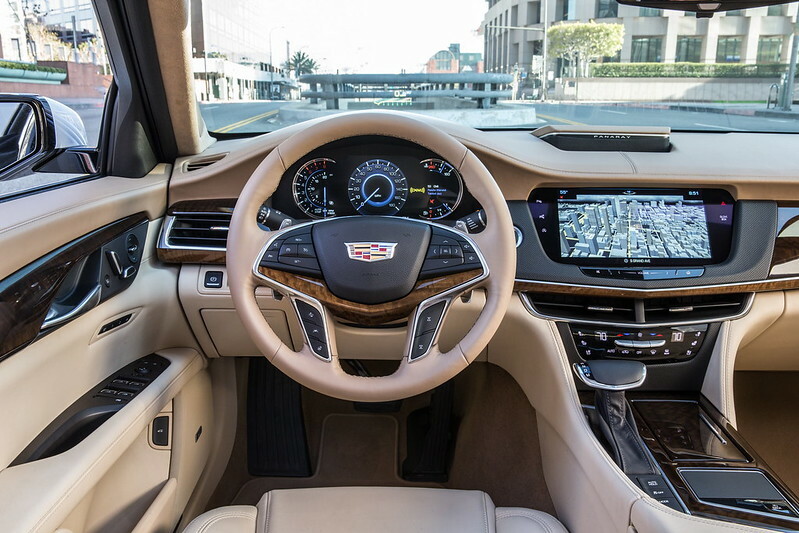 The CT6 is Cadillac’s take on recreating the formula of the prestige sedan through the integration of new technologies developed to achieve dynamic performance, efficiency and agility unseen in the large luxury car segment. 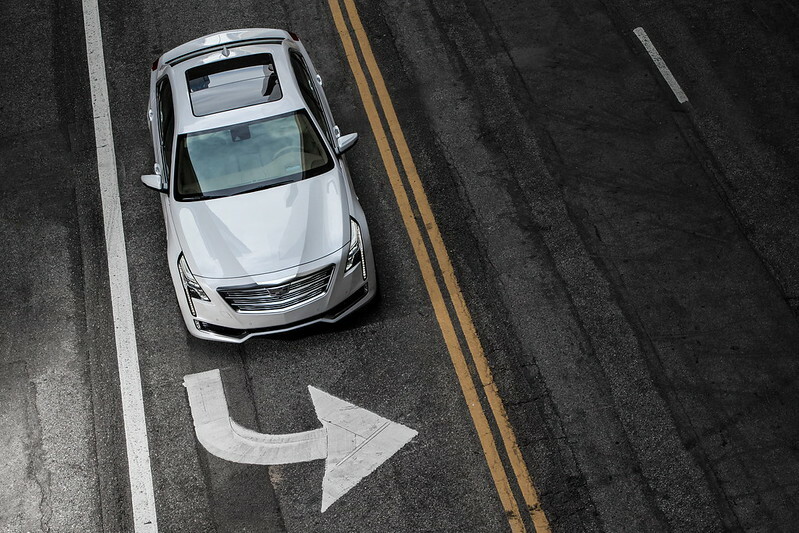 The Cadillac CT6 will offer its drivers a higher threshold of involvement, with technologies that make them more aware of their surroundings, Chassis systems – including active technologies – that make the most of control in all conditions, and powertrains led by an all-new Cadillac Twin Turbo V6 engine that reward with instant power on demand. Passengers will be able to indulge in the brand’s ultimate expression of comfort, luxury and connectivity. In addition to debuting the most advanced V6 powertrains, the CT6 features one of the industry’s most advanced automotive body structures, an aluminum-intensive architecture that incorporates 11 different materials to achieve strength, performance and efficiency thresholds practically unmatched among the world’s elite luxury performance sedans. The CT6 is one of the world’s lightest and most agile full-size luxury sedans, with dimensions and spaciousness on par with best-selling competitors in the segment and is lighter than the smaller Cadillac CTS as well as other competing models from the same sub segment. Cadillac focused on three pillars that come together to deliver the CT6’s dynamic experience – and do so with higher levels of presence, elegance and technological innovation to help elevate Cadillac around the world. 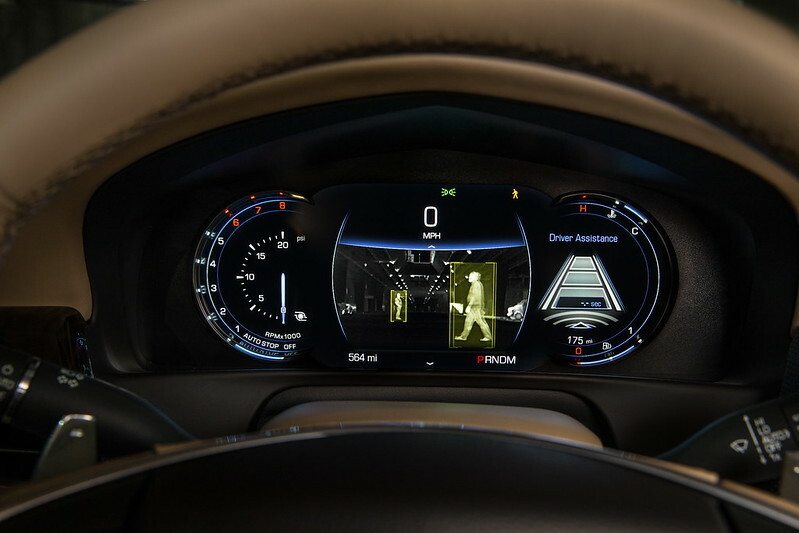 Standard true 360-degree camera view around the vehicle, displayed on the Cadillac CUE screen, helps reduce blind spots around the vehicle. Bold American luxury design, distinctly Cadillac – a true rear-wheel drive architecture, with a dramatic dash-to-axle ratio offering classic long, low proportion and luxury presence that commands attention. Lightweight and a design that conveys it. Dynamic use of line work and sophistication and precision in surfacing – CT6 looks as light and agile as it actually is. Elevates modern craftsmanship with curated environments that are rich, expressive and spacious, combining luxurious leathers, exotic woods, and carbon fiber in unprecedented ways. Standard Indirect Fire light-emitting diode front lighting system offers state-of-the-art, more efficient illumination for a distinctive appearance that is both technical and expressive in its character and personality. Extended comfort seats offer a refined, luxurious appearance. 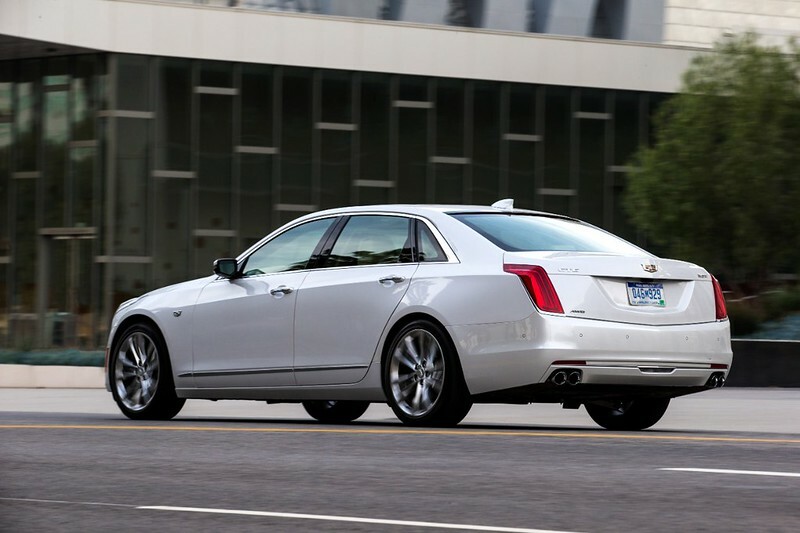 Features include premium Opus leather, five massage programs, reclining rear seats cool and heat ventilated seats utilizing Cadillac’s first application of woven-in-seat heating elements. All-new Articulating Rear Seat package offers new thresholds for comfort and luxury, with approximately 3.3 inches (83 mm) of adjustable seat travel, lumbar adjustment, tilting cushions, massage feature, heating/cooling features and armrest with media controls, including HDMI and USB ports. Comprehensive rear seat infotainment system with articulating 10-inch-diagonal screens that retract into the front seatbacks, along with connectivity for brought-in devices. Quadzone climate system, which employs a secondary full-HVAC system that allows passengers to personalize temperature and airflow for each seating position, along with ionizing air purification. Cadillac-first Bose® Panaray® audio system features 34 strategically placed speakers for exceptional dynamic range and clarity, including the first automotive application of design and technology elements from Bose home entertainment and professional audio products. Concierge welcome lighting that illuminates the outside of the car as the owner approaches, based on the signal from the passive entry fob. Hands-free power deck lid operation. Generous rear-seat legroom –1027 mm – and segment-best interior storage, including 2.2L center console storage volume. 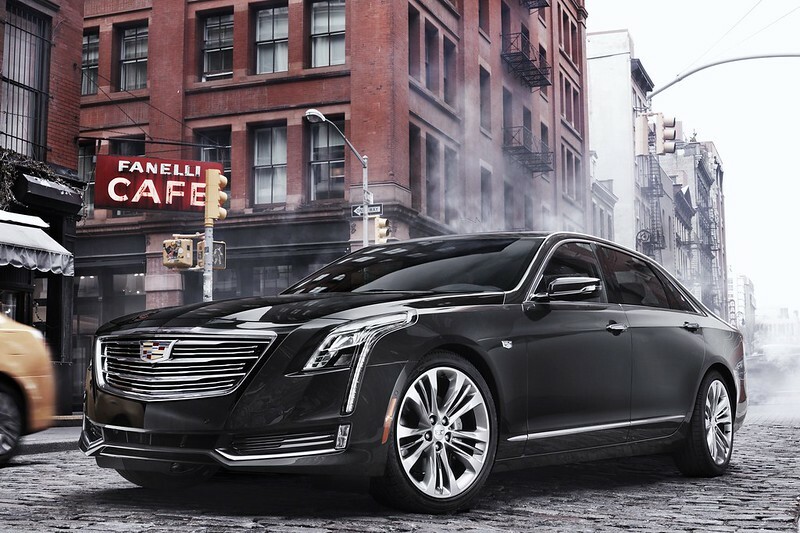 The CT6 production begins at the Detroit-Hamtramck facility in early 2016 with the first customer units due to land in the Middle East in the second quarter of 2016. CT6 is the first of eight all-new vehicles Cadillac will debut by 2020 as part of a multi-billion dollar product investment to expand its product portfolio and elevate its global share of the premium market. 2 To be confirmed closer to market availability date and pending regional homologation.